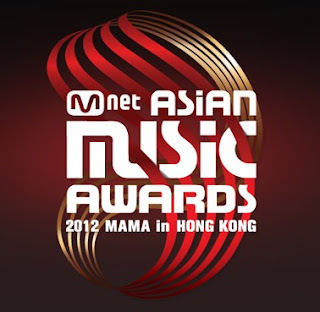 The 2012 Mnet Asian Music Awards(commonly abbreviated as MAMA), one of the major K-pop music award ceremonies in Asia happened November 30 at the Hong Kong Exhibition and Convention Center. List of winners officially announced. The awards night was attended by most well-known actors and idols as organized by Mnet Media. #2012MAMA as the time of posting trends on Twitter Philippines. It is noted that Filipinos are among the K-Pop die-hard fans. For the category of Best Asian Artist award(Philippines), Sarah Geronimo wins her first MAMA. She shared the award with other Asian artists from Japan, Thailand, and Indonesia. Big Bang and SISTAR bagged the Best Male and Female Group as they beat Super Junior and 2NE1. Youtube sensation, Psy wins big as he got Best Music Video, Best Dance Performance and Song of the Year for the worlwide hit "Oppa Gangnam Style". MAMA began in 1999 under the name M.net KM Music Festival" (MKMF), till 2008. The following year, it was changed to "M.net Asian Music Awards". The awards is an annual event happening every November. Last year MAMA was held at Singapore Indoor Stadium, November 29. Check out more on Mnet Asian Music Awards at their official website: http://mama.mnet.com.